Estrella: Where are you going? James Bond: I won't be long. Q: What's the significance of Oberhauser saying "Cuckoooo" to Bond at the Rome meeting? Q: What kept SPECTRE and Blofeld out of Bond films for the 40 years prior to the making of this movie? Q: How does "Spectre" follow the traditional Bond film formula? A thrilling spectacle that ties together the Bond of old with the new. Whether you like Daniel Craig as Bond or not, you can't deny he has been an integral part of the series' highest points. Casino Royale is one of the greatest action thrillers ever, let alone Bond movie, and Skyfall is right up there with Goldeneye as a quintessential Bond adventure. Following the magnificent Skyfall, Spectre had some huge shoes to fill, and for the most part, it delivers exactly what you'd expect. An attention-grabbing, tense opening fight scene, a lovely title sequence (whether the song is good is debatable), and an elaborate sinister plot surrounding James Bond that puts him up against his inner demons more than ever. Does it surpass Casino Royale or Skyfall? 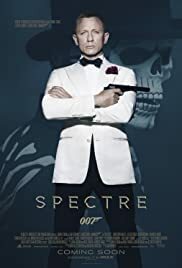 Definitely not, but as far as reintroducing the villainous organization SPECTRE into Bond canon after 40+ years, the film does more than a serviceable job, giving us a stylish action-adventure to boot. SPECTRE is revealed to have been affiliated with some of Bond's biggest threats - Mr. White, Le Chiffre, Raoul Silva - all under the control of one puppeteer, the head of SPECTRE and James' archnemesis, Ernst Stavro Blofeld. It isn't much of a spoiler, as speculation was rampant ever since the first trailer (and hell, when the name of the movie was released). What's important is its execution, and Spectre leaves breadcrumbs for you to follow all the way through the belly of the beast. Not only is Bond under SPECTRE's crosshairs, but MI6 itself is experiencing a merger led by Max Denbeigh (Andrew Scott) who wants to eliminate the 00 division and focus solely on global intelligence. It's apparent early on that Blofeld has eyes everywhere, and while he works primarily in the shadows (Christoph Waltz only having 20 or so minutes of screen time), he poses a looming threat to Bond because of his sheer cunning and a past secret that unravels itself when the two finally meet. Many parts of the film feel like a throwback to classic Bond. The icy environments, the car chase and gadgetry, the use of a massive threatening henchman, a train fight that is heavily reminiscent of From Russia With Love, and of course the modern birthing of Bond's greatest adversary. The acting all around is fantastic, with Craig continuing to impress as the suave womanizing secret agent. Thomas Newman turns in another wonderful musical score. But perhaps the most impressive feature is Sam Mendes' directing. The shots in this movie are absolutely gorgeous - the action scenes are incredible to watch and easy to follow, the landscapes are fresh and vibrant, and even the simplest of scenes - Bond and Blofeld walking up to each other for the first time - are quietly introspective yet palpably tense. Tension lingers throughout every moment of Spectre even when not much is happening, and the suspense is high enough to hold your interest for the full 2-and-a-half hours. 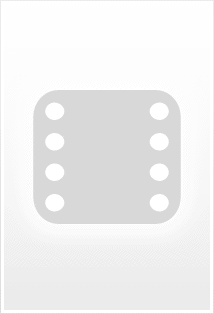 Spectre is not perfect. Much of what happens narratively is predictable, a few lines don't go over too well in context, and you eventually find something out about Blofeld that is pretty ridiculous taking previous Bond canon into account. Also, given Waltz's reputation for knocking villainous roles out of the park, he's noticeably underused here. But these flaws don't tarnish the pure entertainment value to be had. 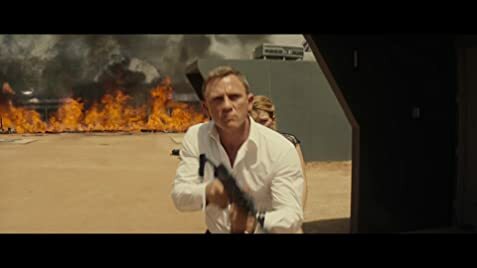 What you want in a James Bond movie is over-the-top action surrounding the world's greatest spy who's up against unbeatable odds yet still comes out on top thanks to his charisma and general badassery, and this is precisely what Spectre delivers. Daniel Craig may or may not return as Bond, and if he doesn't, this movie serves as a perfect send-off. But as the series constantly reminds us, "James Bond will return...," and Spectre is just another welcome chapter in the immense story of everybody's favorite super spy. 246 of 483 people found this review helpful. Was this review helpful to you?